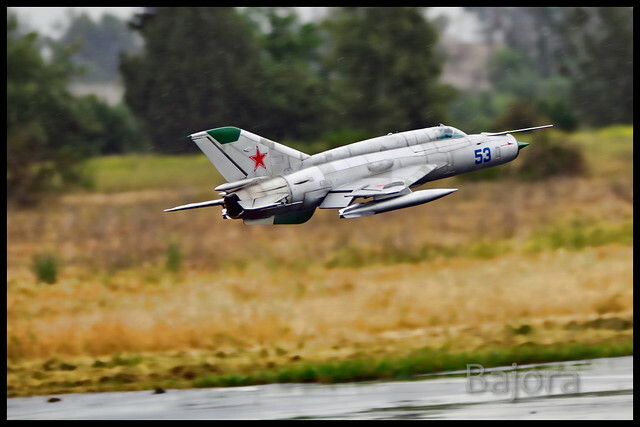 We're pleased to announce the latest jet in Freewing's 80mm series, an iconic Cold War brute, the MiG-21 Fishbed! Measuring over 1600mm long, this 1:9 scale model is the perfect adversary to many of Freewing's "Western" jets like the Mirage, F-16, F-86, etc. The MiG-21 is roughly the same scale as the Freewing 90mm Venom, 80mm F-86, and 70mm Yak-130. 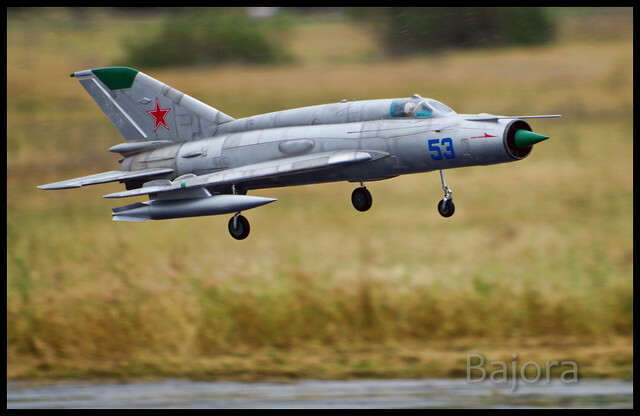 Rather than wait until the final model was already on the water, as we've done with most of the recent pre-orders, Freewing asked us to announce the MiG-21 a little early, during the Apollo/Motion RC Fun Fly we held today and tomorrow. The MiG-21 is currently in production and we'll have complete details on the website within a couple of weeks. The target price is $299 like all the other Freewing 80mm jets. 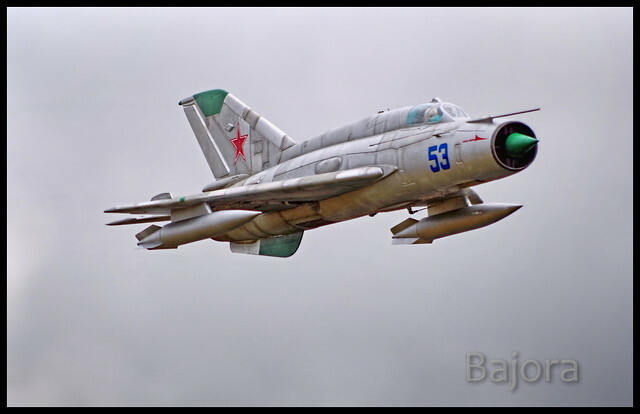 The Freewing 80mm MiG-21 shares the power system of all the other Freewing 80mm jets. An 80mm 12B EDF with outrunner will be the standard PNP. We have ~250 flights on pre-production models and the outrunner on 6s 4000 or 6s 5000 is a nice balance between speed, thrust, slow speed handling, weight, and cost. There's lots of space inside for a 6s 6000 or 8s 4400 setup. The inrunner version boasts nearly unlimited vertical for this very sleek aircraft, but most of the guest pilots have flown it on the standard 6s PNP outrunner and we all agree it doesn't lack for power in this cheaper/lighter cofiguration! We refined several aspects of the MiG-21's wing to provide a very stable slow speed envelope. Zero flap, 1/4 power, two feet of the deck, and rock solid! With half of full flaps the MiG-21 almost comes to a stop in a 10mph headwind. 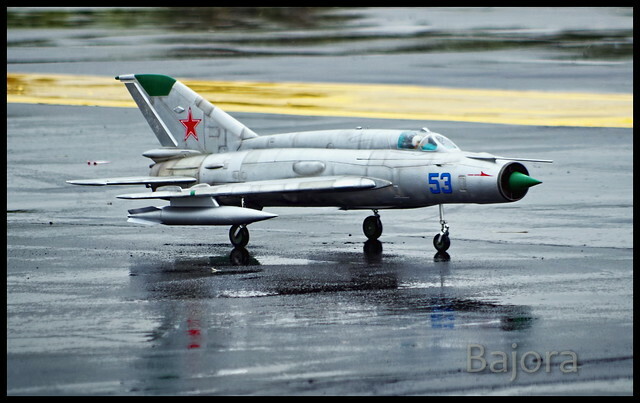 With wide set landing gear (wider than most other Freewing 80mm jets) and trailing links on all three struts, the MiG-21 handles manicured grass fields very well, just as a Russian bird should. This aircraft is larger than the Freewing 80mm F-5, Mirage, and Scorpion, for example, but can fly and land slower than any of them. We're excited to expand on the 80mm lineup of jets, and working to keep the price fair, the scale satisfying, and the performance second to none. Stay tuned for more information! Note, all these photos are of pre-production prototypes. The final version will have front gear door and of course factory paint. We're contemplating either an all silver version with four decals, or a green/brown camo top and light blue bottom version with four decals. Or, both. Decisions, decisions. Come on guys. I do not have any more space for planes. I have them all now. On well, I could have another problem I guess. OOoooohhhhhh....... Time to start saving money! Now that's different, yet exciting. It may make its way to my hangar when I make some more room. Is there a wild guess on an ETA yet Apollo? Well, I had mentioned doing a Mig-25, but this is pretty darn near as good. I think I see my next jet! Way to go Motion and Freewing! Thanks MotionRC, anxiously waiting for this one to release. She is a winner, thanks for announcing this! Alpha, it was an honor to see this in person at Apollo this weekend! Thank you again for you hospitality and a very exciting weekend! I will be pre-ordering this one as well!.. I can attest. After seeing this Jet fly,the overall package is more than what 299usd is asking for. I jumped as soon as I saw this jet, amazing, I just wish everyone has had a chance to see this bird perform. OMG I am in LOVE!!!! 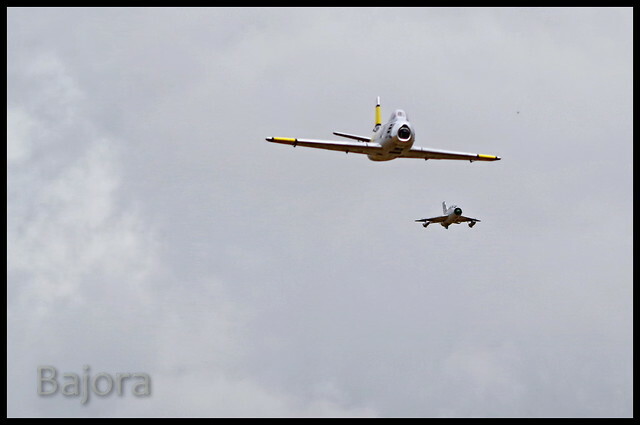 Tnx Tony ... enjoyed watching your insanely awesome piloting skills as usual! I know this is the prototype, but will it come with the weathering detail like this one? Hi Sky Wolf, the model shown is my preproduction prototype. I paint one of these as a color reference sample for the factory to approximate the mass production paint. They will likely use a black exhaust nozzle interior and darker silver outer nozzle area around the stabs, but the overall aircraft itself will be painted evenly with satin silver like the Freewing 80mm F-86. Weathering, if any, is done to taste by the pilot, after they apply their choice of decals. Some guy guys might like theirs dirtier than others. Bajora, these are incredible photos of yours, especially considering the overcast and drizzling conditions in which you captured them! I enjoyed flying this bird in the rain. It felt scale for a dreary Soviet winter day ... in California. I had the same thought. I may be adding this bird to my fleet! Thanks Alpha, hate that I wasn't able to fly out there to hang out with you guys. Anxiously awaiting for the new Mig coming up!